Bolingbrook’s Department of Interstellar Affairs denied David Silverman, president of American Atheists, access to Clow UFO Base. According to sources in the department, Silverman sent an unsecured e-mail to Village Hall demanding access to Clow UFO Base. Silverman said he wanted to have pictures of himself taken removing debris and helping Clow recover from the recent abductee uprising. Silverman replied that he wasn’t fooled because he reads The Bolingbrook Babbler. “There is more evidence for the existence of Clow UFO Base than there is for God!” Silverman wrote back. Silverman also offered to help defuse any potential “legal issues” that could be associated with the clean up. A source within American Atheists says that Silverman never intended to get inside Clow UFO Base. Instead, he was “trying to build his credibility” before attending The StarworksUSA 2014 UFO Symposium in Chicago from May 2 to May 4. 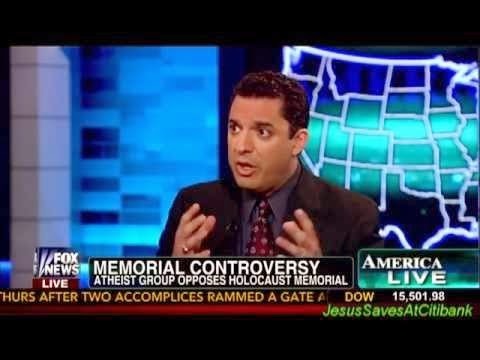 David Muscato, Public Relations Director for American Atheists, denied that Siliverman had any contact with The Village of Bolingbrook, or will be attending StarworksUSA’s symposium. New World Order: We know what happened to Flight MH370 and we’re not telling! Mayor Claar tells Tribune reporter: The village trusts me and you should too!